The city of Raleigh commissioned a survey in 2016 which showed that transportation issues remain our residents’ top concern. Do you support the $206.7MM streets and sidewalk bond package which includes a 1.29-cent property tax increase? Do you support a major league soccer stadium downtown? What are you hoping to achieve as an elected official that will foster a healthy and innovative business environment in both the near and far term? While I support the elimination of corporate taxes, it is not in the purview of the City Council to end that practice. I support greater flexibility in allowing lite commercial zoning in residential areas to reduce the harmful affects of food deserts. I will work to permit mini homes, mother-in-law suites, and short term rentals throughout all Raleigh. These not only create opportunity for small builders, they provide income streams for home owners to help them stay in their homes and greater family cohesiveness and community integrity. I will work to influence the legislature to reduce occupational licensing throughout the state. What would you like to see updated in the city’s Unified Development Ordinance related to land use, regulations and/or density that ensures our market remains competitive and attractive for business and residents? I would like to increase density and vertical development throughout the city. The current standards of low density development have created a housing crisis throughout southeast Raleigh. More land to build on equals lower priced land and less supply and demand pressure for construction. ​I will work to permit mini homes, mother-in-law suites, and short term rentals throughout all Raleigh. This too will address supply and demand problems we face currently. How will you balance increased infrastructure and personnel funding needs of the city while also addressing economic growth, affordability, and quality of life? Making better use of the resources you already have is one of the best ways to mitigate growth pains. Existing street and utility lines have to be repaired and replaced occasionally As those repair and replace programs move forward, the city should work to expand the capacity of those lines for future readiness. Increased density as I've already emphasized will make best use of what is here and avoiding sprawl. Personnel funding should not be directly proportionate to growth as it has been for the last many years. There should be some economy of scale that hasn't been evidenced. Having brought the emergency worker pay to high standards, doing the same for all city workers should be a priority paid for by pausing the growth of city employee numbers. Identify two specific areas in the city budget where you might reduce spending and two specific areas where you might increase spending. Facility growth: The current plan to spend $169 million on the Civic Campus needs to be placed on hold and fully reexamined in hopes of dramatically improving the plan or delaying it until a much less expensive alternative is developed. Investment in art projects art associated with development projects: We recently spent $72,000.00 on a sculpture that looks like a hooka pipe. 501 (C)3: I would redirect current funds to support the compliance and filing requirements of not for profit organizations. What is an uncomfortable truth about Raleigh that voters must confront? 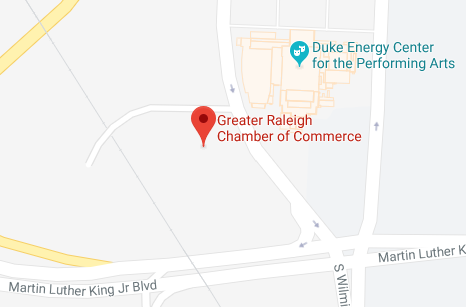 Raleigh is at a crisis it is unaware of. Housing stock in the affordably range is dropping while it needs to increase. College Park and other areas are years away from completion and shootings this summer are going up. Much of this is because of the condition in southeast Raleigh. Our explosive growth in the rest of the city is about to cause an implosion in the southeast. Crime will continue to rise, poverty will increase, and all the work of city leaders will be for naught as the city will suffer an exodus because of these conditions.